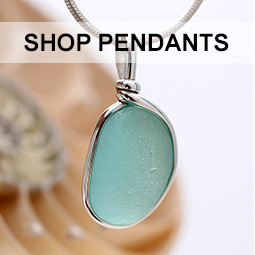 Why Our Sea Glass Jewelry? A true reverse gem, made by man and refined by nature. In fact Sea Glass is becoming rarer than diamonds. Some of our pieces are over 100 years old! 2. What is Sea Glass? Discarded glass shaped by tide and time become coveted beach gems that are becoming increasingly more rare as each tide passes. 4. 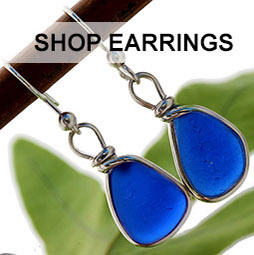 Good For the Environment - Sea Glass is Eco Friendly and ethically sources from beaches all over the planet. 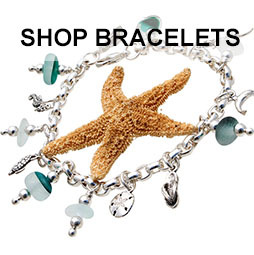 If she prefers flip flops to high heels, the beach to the mall, the smell of the sea, she will LOVE our jewelry. 5. Buy With Certainly - Each piece comes with complete certification telling you the history and origin of the piece, a gift box and we will even gift wrap it for FREE!